​INDIA, a land alive with glorious beauty, wondrous architecture, and ancient and contemporary culture, has a hidden treasure waiting to be discovered: its Jewish heritage. Led by Rahel Musleah, a journalist, author, lecturer, and singer who was born in Calcutta, your travels will reveal the intriguing history and culture of India’s distinctive Jewish communities: Bombay, Cochin, Calcutta, and Delhi. Rahel will introduce you to unusual customs and songs as you explore the sites of shipwrecks, maharajahs’ palaces, and magnificent synagogues. Travel in comfort and stay in luxurious accommodations. Delight in India’s bustling cities, shop in its colorful bazaars, indulge in its foods, and experience all that India has to offer! OUR PROMISE: Our unforgettable tours offer unparalleled experiences of India's diversity, vibrant beauty, and rich Jewish heritage, a remarkable mix of sacred and secular. Enjoy five-star hotels, superb vegetarian/kosher cuisine, fabulous sites, and a terrific team of guides. Our tours offer more in terms of value, depth, activities, and accommodations, with a price-to-quality ratio that is the best in the market. We offer more days at a lower price, with five-star hotels, all domestic flights, and most meals included. India is a vast country of dramatic contrasts, extraordinary cultural richness, and religious diversity. Any visitor to India can choose from a wide array of tours. What distinguishes ours is its "insider's perspective." I was born in Calcutta to a family with Baghdadi roots; I live in the United States today and speak widely about the Indian Jewish communities--always adding music wherever I go. My tour partner, Joshua Shapurkar, is a member of the Bene Israel community of Bombay and has been leading general and Jewish tours for twenty-five years. Together we have an intimate knowledge of the Indian Jewish communities and close relationships with its members. You, too, will be treated as part of our broader family. You will meet and interact with community members, enjoy local hospitality, experience India's magnificent cultural tapestry, and enjoy its rare Jewish treasures. We will attend Shabbat services together in Bombay and Calcutta. I will lead services in the Baghdadi-Indian tradition in the Maghen David Synagogue, where my father was rabbi, and share my memories with you as we walk together through streets and bazaars. Our accommodations are deluxe--and you won't have to worry about meals or transportation in India: almost everything is included. Please join us on this unforgettable adventure! Oh, the places you'll go and the areas you will discover! 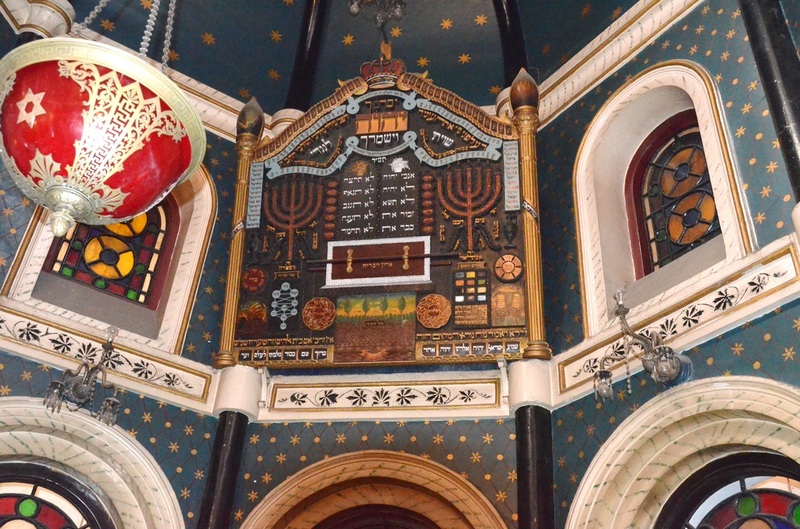 A unique blend of Jewish and Indian cultures. A carefully planned tour of Jewish India. A rich feast for the senses, with highlights both ancient and modern. Take a day tour focusing on the rich history of Mumbai. Custom tours feature our insider’s perspective.